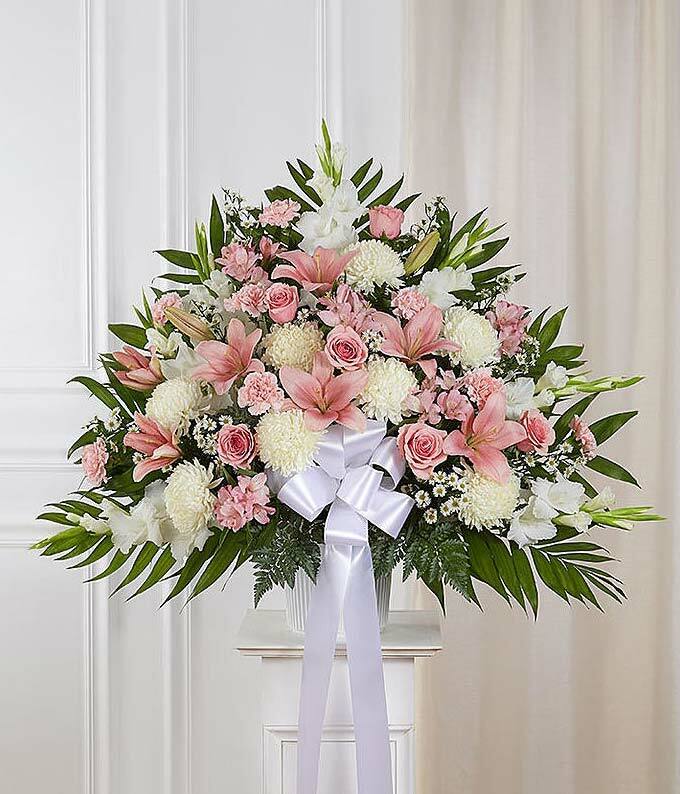 This funeral standing spray basket is created with beautiful pink and white flowers. Created with seasonal flowers including pink roses, pink lilies, snapdragons and white carnations. The pin and white standing basket is delivered with a card message to share your thoughts. Medium (shown) measures approximately 32"H x 36"L without stand.